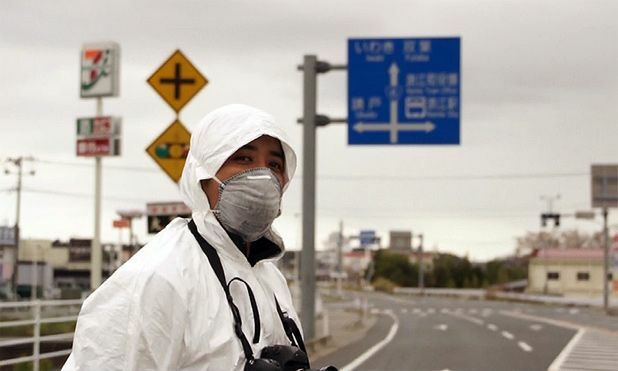 Opening with terrifying footage recorded in the filmmaker’s own flat during the 2011 Japanese tsunami, this thoughtful, softly empathetic film then tours the damaged lands around the Fukushima nuclear plant. Along the way it documents stoicism, survival, and the tenacity of hope and good humour in the face of abject loss and uncertainty. As the relief effort struggles on and the displaced struggle to come to terms with their reduced circumstances, Yojyu Matsubayashi visits refugee centres where supportive new communities have spontaneously sprung up, and ravaged towns where some plucky residents have simply decided to stick it out in the wreckage of their homes. The characters he discovers are priceless – indefatigable, modest, giving individuals whose apparent absence of panic or ill at their situation can border on the surreal. The film thus pays tribute as much to the freakish resilience and adaptability of the human spirit as to the specific victims of the tsunami. Matsubayashi captures memorable images too, striking a winning balance between scratchily intimate on-the-hoof record-keeping and meditative beauty. The sombre title suggests a harrowing undertaking, but perhaps Matsubayashi’s prime achievement here is to have invested his film with so much joy. The flamboyant elderly couple that Matsubayashi finds still holed up in their almost-deserted town are worth the price of admission alone. He expresses his concern about running out of the sake that he likes to drink all day, every day (the filmmaker takes the hint); she smiles on beatifically and makes wry asides. ‘First photo since we got old,’ she cheerily observes as Matsubayashi poses them for a portrait. Showing at Edinburgh International Film Festival Sat 23 Jun.